Should Christians Favor Accepting Syrian Refugees? In 2008, best-selling author and agnostic professor Bart Ehrman wrote a book titled God’s Problem: How the Bible Fails to Answer Our Most Important Question—Why We Suffer (2008). In the book, Ehrman presented his case for how the biblical answer to the problem of evil is insufficient. His analysis is incorrect and lacking in many ways, but the title of his book brings us to a crucial question regarding evil—why would Erhman and a bulk of the unbelieving world seek such an answer from the Bible? Why put forth so much effort attempting to refute the biblical answer to suffering? In truth, the “problem of evil” argument is built on the foundation of what the Bible says about God. As it is historically set out, the “problem of evil” contends that the three premises (1) God is all-loving; (2) God is all-powerful; and (3) evil exists, cannot all be true. Where did these three premises originate? The third, that evil exists, is a matter of personal experience and knowledge that virtually all humans can know intuitively. But the first two premises, that God is all-loving and all-powerful, are distinctly set forth in the Bible as attributes of God. Without the biblical insistence that God is all-powerful and all-loving, there would be no “problem of evil.” With that in mind, it would be unfair and dishonest for the skeptic to demand that the Christian answer the problem of evil without reference to the Bible. Yet, that is precisely what Ehrman and others expect. They attempt to discredit the biblical answers to the problem of evil. These attacks against the Bible’s answer have been unsuccessful (Warren, 1972; Miller, 2015). In fact, one of the most impressive responses to evil is the biblical understanding of God’s work through providence. For the purposes of this discussion, we will define providence as the way God orchestrates His will through natural laws. This idea is contrasted with God’s miraculous intervention in human affairs. A miracle, such as Jesus walking on water or God’s empowering Moses to put his hand into his cloak and it become leprous, is a recognizable overriding of certain natural laws. God’s providence, on the other hand, is seen in cases where God works through natural laws to accomplish His will. To illustrate this difference, let us consider specific examples. In 2 Kings 19, the story is told of Sennacherib’s campaign against the land of Judah. The evil king and his Assyrian army encircled Jerusalem and were confident that they would soon crush the city. That did not happen, because one night an “angel of the Lord went out, and killed in the camp of the Assyrians one hundred and eighty-five thousand; and when the people arose early in the morning, there were the corpses—all dead” (2 Kings 19:35). This episode is a clear example of God miraculously intervening in human affairs. On a different occasion, the prophet Micaiah warned Ahab, the king of Israel, that he would be destroyed if he attacked Ramoth Gilead. Ahab ignored the warning from God’s prophet and attacked the city anyway. In the course of the events, “a certain man drew a bow at random, and struck the king of Israel between the joints of his armor” (1 Kings 22:34). Ahab died of his wound exactly as God had foretold. Ahab’s death, however, came about through what we would call natural events, not miraculous ones. Another contrast between providential and miraculous involvement can be seen in the lives of Mary and Hannah. In the New Testament narrative of Jesus’ birth, the Bible states that Mary would miraculously conceive Jesus even though she was a virgin (Matthew 1:18-25). In contrast, we read about the birth of Samuel to Hannah. She prayed earnestly for a son and God answered her prayer. Hannah’s conception and birth of Samuel, however, were not miraculous but came about through her union with her husband Elkanah (1 Samuel 1:19-20; see Jackson, “A Study of Divine Providence”). Samuel’s birth provides an excellent illustration of God’s providence. Throughout the course of human history God has worked His will through miraculous and providential means. In many eras of history He has used both at the same time, but in some instances and epochs, He has worked primarily through providence with very little or no recognizable miraculous activity. It is important to understand this truth, since it is often affirmed that if God has worked miracles in the past to aid his people, then He “should” be doing the same today. For instance, Bart Ehrman demands, “If he [God] could do miracles for his people throughout the Bible, where is he today when your son is killed in a car accident, or your husband gets multiple sclerosis, or civil war is unleashed in Iraq, or the Iranians decide to pursue their nuclear ambitions?” (p. 274). This idea is well-illustrated on Marshall Brain’s Web site whywontgodhealamputees.com (2014). According to Brain, the fact that God does not miraculously regrow limbs proves that He is imaginary. In chapter 5 of his material, he says, “Nothing happens when we pray for amputated limbs. God never regenerates lost limbs through prayer…. Does God answer prayers? If so, then how do we explain this disconnection between God and amputees?” (2014). Notice that Brain and Ehrman insist that if God is capable of miracles, then we should be seeing them now. But why must that be the case? Could it be that an all-knowing God has very good reasons why He is not at work in the same miraculous ways He worked in the past? In addition, the same Bible that tells us about God’s miracles also lays out a very strong case for God’s working through providential means. To demand that God must operate in the way that we insist He operate is more than slightly presumptuous, especially in light of the fact that He has given us ample information about other ways He works. This play by unbelievers is more clearly seen in the proverbial story of the atheistic professor who stands before a class of freshmen and dares God to strike him dead. When nothing happens, the professor glibly comments, “I thought not,” and assumes he has made his point. Could it be possible that there are good reasons God does not strike the professor dead? Certainly. Maybe God knows the man will repent in the future. Maybe He knows that this professor will find a cure for cancer, and although he will lose his soul, he will save many lives. The possibilities are virtually endless. Ehrman and other unbelievers challenge Christians to produce modern miracles as evidence that God intervenes in the world today. They do so, however, refusing to recognize two important truths. First, even during the ages of human history when God performed miracles, He did not intervene to stop all suffering. People still got sick, had accidents, broke bones, suffered emotionally, and died. It is as if the skeptic insists that the Bible paints a picture of a God who swooped in miraculously to stop all suffering. Such was never the case. Miracles were isolated events designed to confirm the validity of the message of certain divine messengers (Miller, 2003). The Bible has never presented them as a wholesale answer to the problem of pain and suffering. Second, to insist that God must use miracles today discounts the pervasive biblical theme of providence. Throughout history, one of God’s primary modes of operation has been to providentially work through natural laws. To deny that this is the case is to turn a deaf ear to a massive amount of biblical testimony. When many people think about God working through miracles, they have a picture in mind of a God Who periodically interrupts the regular flow of things and tinkers with the laws that are usually in place. They see God as an intruder into the natural order that He initially set up and that He leaves alone for a large portion of time. It is as if God has created a cosmic aquarium filled with fish, rocks, hiding areas, and a water filtering system. He sits outside the system watching patiently until He is needed, dipping His hand into the system to add something here or take something away there. The problem with this view is that it pictures a system that somehow works independently of God. In this system it is thought that if God does not miraculously intervene, then the system still works fine. The natural order exists only because God is constantly active in upholding it. God does not use natural processes as if they existed without him. God does not take advantage of natural laws to accomplish his will as if the laws existed without him. We see immediately why the question “Can God intervene in a world ruled by orderly laws?” is meaningless. There is no world ruled by orderly laws except that one constantly maintained in existence by the activity of God (1971, p. 28). It is because of this fact that scholar John Walton defines providence as “the way God acts through all so-called natural processes, whether in creation, nature, or history” (2001, p. 101). His addition of the adjective “so-called” highlights the fact that the laws of “nature” are perpetually dependant on the supernatural God. In the term providence, then, we see God’s perpetual upholding of the entire Universe. The general providence of God upholds all nature. The way the term providence is usually applied, however, refers to God’s coordination of events in order to bring about specific desired outcomes. This has been referred to as God’s special providence. It often is spoken of in the Bible as it is seen in the lives of those who follow him (May, 2014, p. 14). We see the difference between general and specific providence when we compare Matthew 5:45, which says that God “makes His sun rise on the evil and on the good, and sends rain on the just and on the unjust,” with Romans 8:28: “And we know that all things work together for good to those who love God, to those who are the called according to His purpose.” In one sense, all life comes from God and the fact that anyone can take a breath is a providential blessing. In another sense, God has promised that all the events in the lives of those who love Him will be orchestrated in a way that they will work together for the ultimate good. It is important to recognize what the Bible does not say about God’s providence. There is an idea that if a person is a faithful child of God, then God will make sure that he or she is always prosperous, has a wonderful spouse, is blessed with children, and lives a life of comfort and ease. That is not what the Bible says. In fact, the Bible is clear that those who love and follow God often experience serious hardships and trials. Paul told Timothy that “all who desire to live godly in Christ Jesus will suffer persecution” (2 Timothy 3:12). James told his readers to “count it all joy when you fall into various trials, knowing that the testing of your faith produces patience” (James 1:2-3). Peter told his readers who were suffering governmental persecution not to “think it strange concerning the fiery trial which is to try you, as though some strange thing happened to you; but rejoice to the extent that you partake of Christ’s sufferings” (1 Peter 4:12-13). Even the Lord was disciplined in obedience by the things which He suffered (Hebrews 5:8). God does not promise that everything that happens to those who love Him will be good. Instead, He promises that they will work together so that the end result is good. The name of God is never mentioned in the book of Esther. For that reason, some have questioned its inspiration and place in the canon. A close analysis of the book, however, shows that it meets the criteria for inspiration. The fact that it does not use God’s name is significant, because the events that happen in the book provide some of the clearest examples of special providence in all of Scripture. Let us briefly summarize the story. Esther is a Jew who lives in Shushan, the capital of the Persian Empire. She is orphaned, so her cousin Mordecai raises her as if she were his. In the course of events, the Persian king Ahasuerus dismisses his wife and begins the process of looking for another. Esther is among the young women that Ahasuerus assembles at his palace. She surpasses the others in talent and beauty and becomes the new queen. Mordecai warns her not to reveal that she is a Jew. On one occasion, when Mordecai sat in the king’s gate, he uncovered a plot to kill the king. Those involved were found guilty and the event was written in the history book that Ahasuerus kept. During this time, the wicked general Haman began to advance in station and status with the king. He hated Mordecai because the Jew would not bow to him. Instead of killing Mordecai, Haman tricked the king into issuing a decree that all the Jews should be killed. Esther courageously pleaded with the king to save the Jews. Ultimately, Haman’s plot was discovered, he was hanged, and the Jewish people were delivered from destruction. The most interesting aspect of the book of Esther is the underlying working of God through “natural” processes throughout the events taking place. For instance, of all the young women in the entire kingdom that Ahasuerus could have picked, he chose the Jewess Esther. Her cousin Mordecai was in the perfect place to discover a plot against the king’s life, and his deed was written down in the history book. The entry, however, went unnoticed for many days until one “fortuitous” night the king could not sleep. Due to his insomnia, he ordered that the history book be read, and it just so happened that Mordecai’s discovery was the chosen text. While the king was deciding what to do to honor Mordecai, Haman entered his presence hoping to request that the king hang Mordecai. Instead, Haman was instructed to parade the Jew through the streets as one whom the king chose to honor. Haman was later hanged on the very gallows that he had built to hang Mordecai. The number of perfectly aligned events that brought about the Jews’ salvation were not coincidences. As John Walton noted, “If we truly understand Esther, it is not saying that there is no God at work, but neither is it saying that there is no circumstance. Instead, it insists that God works through the circumstance…. The only way to understand how God works is to see circumstance as one of his agents” (p. 104). One of the most familiar passages in the text is found in a statement that Mordecai made to Esther. He admonished her to have the courage to go to the king, even knowing that she might die. And he said, “who knows whether you have come to the kingdom for such a time as this?” (Esther 4:14). Notice that Mordecai’s statement implies that the circumstances that led to Esther being the queen could have been arranged intentionally and purposefully for her to save the Jews. It is at this point that we need to consider an important aspect of special providence. God performed miracles in a way that, to the honest observer, left no room for doubt. Anyone who observed a miracle performed by Jesus or another empowered spokesperson from God, if the person was dealing honestly with the situation, could be sure that God’s power was directly responsible for the event. When considering providence, however, God’s work is often not clear until after the events take place, and even then it is difficult to put a finger on exactly how and where God was active. Mordecai’s sentiment of “who knows” captures this facet of providence well. We see this idea in the New Testament as well. When Paul wrote to his friend Philemon, he mentioned that he had come in contact with one of Philemon’s former slaves. This slave, Onesimus, had run away from Philemon and become a Christian during his time away. Paul was sending him back, and he wrote to Philemon, “perhaps he departed for a while for this purpose, that you may receive him forever, no longer as a slave but more than a slave, as a beloved brother” (Philemon 15-16). Paul’s use of the word “perhaps” echoesMordecai’s use of “who knows.” Both writers were acknowledging that God works through natural, providential means. But they were also conceding that the circumstances under discussion could only be viewed with some uncertainty when trying to determine exactly what parts of their lives and the lives of others were related to God’s activity. As May correctly wrote, “Miracles are clearly from God. Providence is always ‘perhaps,’ except when God in Scripture tells us He is working behind the scenes” (p. 69). The life and times of Joseph, son of Israel, consume the bulk of Genesis chapters 37-50. His story provides another clear example of God’s providence in action. 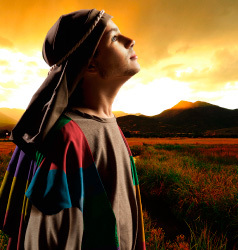 Joseph’s dad favored him above his other brothers, because he was the son of Jacob’s beloved wife Rachel. This favoritism led Jacob to treat him better than his brothers, which fueled their jealousy and hatred toward the young man. In addition, Joseph had dreams in which his brothers, Jacob, and Leah bowed down to him. This infuriated his siblings all the more. On one occasion, Joseph was sent to check on his brothers as they tended their father’s flocks. They conspired against him, captured him, and sold him to a band of slave traders. The traders sold him into Egypt. In Egypt, Joseph spent many years in slavery and in prison, but through a series of remarkable events, became the second most prominent man in all the land. Due to a massive famine, his brothers journeyed to Egypt to buy food. There they bowed to Joseph just as he had seen in his dreams. Eventually, Joseph revealed himself to his brothers and brought his family to live in Egypt. When his father died, his brothers feared that Joseph might seek revenge on them. They came to him, begging for his forgiveness. He calmed them and said, “[D]o not be afraid, for am I in the place of God? But as for you, you meant evil against me; but God meant it for good, in order to bring it about as it is this day, to save many people alive” (Genesis 50:19-20). As we read through the events of Joseph’s life, we see many people who were not trying to help Joseph, nor were they attempting to obey God. His brothers sold him into slavery. Slave traders cruelly sold him into Egypt. His first master’s wife lied about him. His master, Potiphar, then threw him into prison. And the chief butler forgot about him for two years before bringing his name up to Pharaoh. Obviously, the people in Joseph’s life could not see the hand of God, nor were they complicit in God’s plan to elevate Joseph. In addition, many of the events were unjust, wrong, and painful to Joseph. God, however, orchestrated these events in Joseph’s life so that eventually they turned out “for good.” This is the nature of providence. A study of divine providence naturally leads to questions about human free will. If God orchestrates events to bring about desired outcomes, does He force people to act in certain ways? Does He override human free will in order to work providentially? The stories of Esther, Philemon, and Joseph provide us with the answer. God used the choices that the people in the stories freely made, and worked His providence through those choices. At no time did God in the past, or will God in the present or future, override a person’s free will. If God works His providence through the decisions that various people freely choose, that must mean He knows what they will choose. Some have argued that if God knows what a person chooses, then that person is not free to choose, since he or she is “stuck” choosing what God knows he/she will choose (see Barker, 2008, p. 127). The flaw in this argument hinges on the difference between knowledge and cause. Just because a person may have knowledge of an event does not mean that he caused the event or that the person who makes the choice is somehow constrained by this knowledge. A brief thought experiment makes this point clear. Suppose, hypothetically, you knew that a friend of yours drank coffee yesterday morning. Now suppose you could go back in time and watch him choose to drink coffee instead of milk. Did your knowledge that he would choose coffee somehow force his decision? Not at all. He could have chosen coffee because he liked the taste or wanted the caffeine. The fact that you knew what he would do does not mean he was forced to do it or that your knowledge somehow caused it. Similarly, God knows what every person will do. Using that knowledge, He can arrange events to accomplish His ends through natural circumstances. One of the primary reasons to study providence is to assimilate the idea into an overall answer that helps explain how a loving, all-powerful God can allow those He loves to suffer. What does knowledge of providence offer the sufferer? First, an understanding of providence assures us that God will never allow any person to suffer or be tempted beyond his/her ability to deal with the suffering. Paul explained this to the Corinthian church when he wrote, “No temptation has overtaken you except such as is common to man; but God is faithful, who will not allow you to be tempted beyond what you are able, but with the temptation will also make a way of escape, that you may be able to bear it” (1 Corinthians 10:13). When we suffer, there are times we may feel that we simply cannot endure the pain and sorrow that is crushing us. During such periods of trials and troubles, we must remember that God is still in control of the Universe, and He has solemnly promised us that He will never allow us to suffer or be tempted more than we are able to withstand. While it may seem to us that we cannot hold up under the trials we experience, if God is all-knowing, and if God can providentially arrange the events of human lives to accomplish His ultimate desire, then we can know that He will provide the strength that we need to not only endure, but even to grow through our struggles. The strength He provides may not come in the form or way that we expect. It may come through what others do for us. It may come through something we read in God’s Word. It may come through an inspiring story that we read in a book that a friend happened to lend us. Or it may come through a person coming into our lives that is suffering worse than we are and needs our help, channeling our attention from our own pain to constructive ways to help others with theirs. Second, an understanding of divine providence can help the sufferer understand that God can arrange events so that suffering can have meaning and purpose, even though it is not inherently good. One excellent biblical example is seen in the life of Paul. Paul’s life after his conversion to Christianity was eventful to say the least. He took three lengthy missionary journeys, during which he was often in peril. He explained to the church in Corinth that he had been beaten three times, shipwrecked three times, stoned, whipped by the Jews five times, and spent a night and day in the ocean (2 Corinthians 11:22-33). Paul often found himself trying to escape legal authorities that were attempting to imprison or kill him. On one occasion, Paul was lowered over the city wall of Damascus in a basket to escape being captured by the governor of the city (2 Corinthians 11:32-33). Paul’s efforts to avoid capture, however, were not always successful. Once, He was imprisoned and held by the prestigious palace guard. Without an understanding of providence, this situation would seem to the average observer to have a negative effect on Paul and his preaching of the Gospel. Why did Paul have to suffer by being thrown in prison? Why did the church have to suffer through their concern for the apostle? Why did his relatives have to endure the mental anguish of knowing he was imprisoned unjustly? Such questions are legion. Paul provides us with some insight into his situation in the letter he wrote to the church in Philippi. He told them, “But I want you to know, brethren, that the things which have happened to me have actually turned out for the furtherance of the gospel, so that it has become evident to the whole palace guard, and to all the rest, that my chains are in Christ” (Philippians 1:12-13). Notice Paul’s use of the word “actually.” The implication is that at first, it would not seem like prison would help the cause of Christ and the furtherance of the Gospel. It turns out, however, that even though Paul had been unjustly imprisoned and punished with evil intent, God providentially arranged the events so that the Gospel message spread. God created the world and upholdsit by the word of His power. He designed the natural laws that He perpetually sustains in a way that He can work through them to bring about His desired goals. Throughout human history, He has worked both providentially and miraculously. The fact that He used miracles in the past, however, does not mean that He still, or must, use them today in order to accomplish His ultimate will. The Bible provides extensive material on how God has providentially worked in the past, and how He has promised to continue this activity in the present and future. An understanding of God’s providence provides a vital aspect of the Christian’s overall answer to suffering in the world. Furthermore, the concept of providence can help those who suffer find meaning and comfort through their suffering. Barker, Dan (2008), godless (Berkeley, CA: Ulysses). Brain, Marshall (2014), “Why Won’t God Heal Amputees?” http://why wontgodhealamputees.com/. Bube, Richard (1971), The Human Quest (Waco, TX: Word). May, Cecil Jr. (2014), Providence: The Silent Sovereignty of God (Nashville, TN: Gospel Advocate). Miller, Dave (2003), “Modern-Day Miracles, Tongue-Speaking, and Holy Spirit Baptism: A Refutation,” Apologetics Press, https://www.apologeticspress.org/APContent.aspx?category=11&article=264& topic=293. Miller, Dave (2015), Why People Suffer (Montgomery, AL: Apologetics Press). Walton, John (2001), Genesis (Grand Rapids, MI: Zondervan). Warren, Thomas B. (1972), Have Atheists Proved There is No God? (Jonesboro, AR: National Christian Press).